The Central Information Commission has recommended the Lok Sabha Speaker and Rajya Sabha Chairman to issue appropriate legal framework to bring in more accountability and transparency in the utilization of funds under the Member of Parliament Local Area Development Scheme(MPLADS). The order was passed by the Central Information Commissioner Prof.M. Sridhar Acharyalu, while considering two appeals filed by persons who sought information regarding utilization of MPLADS funds by their respective MPs. Their applications were turned down stating that the no information pertaining to constituency wise utilization of MPLADS fund was maintained. The Ministry of Statistics and Programme Implementation (MOSPI) is the nodal ministry for MPLADS. It was observed by the CIC that the Ministry does not maintain information on creation of assets and depends on district authorities to provide utilisation certificates to release more funds. It was further recommended that this legal framework should list out obligations of MPs such as duty to inform every year, number of applications received, works recommended, works rejected with reasons, progress works, details of beneficiaries, and a comprehensive report on MPLADS works after completion of term by MP, to Chairman of Rajya Sabha or Speaker of Lok Sabha, respectively, and to office of Parliament. There is also a recommendation to incorporate details of MPLADS projects in the official pages of all MPs, and to develop a code of conduct to cover the ethics of MPLADS. The appeals related to fund utilizations by MP Rajesh Kumar Diwaker of Hathras constituency, Uttar Pradesh from BJP and MP Shri Devender Prasad Yadav, a former MP of the 14th Lok Sabha from Jhanjharpur Constituency of Bihar from RJD. In case of Devendar Prasad Yadav, the CIC noted that he has recommended works for the entire quota of his MPLADS. His utilization over released amount is 101.65%. "The former MP should not have any difficulty in explaining the works, their progress, results and beneficiaries he recommended", Prof.Acharyalu said in the order. As regards Rajesh Kumar, the CIC noted that he had utilized 80 % of the fund, and that people of his constituency, including this appellant, have every right to know progress of these works, payments made, reasons for not spending amount etc. 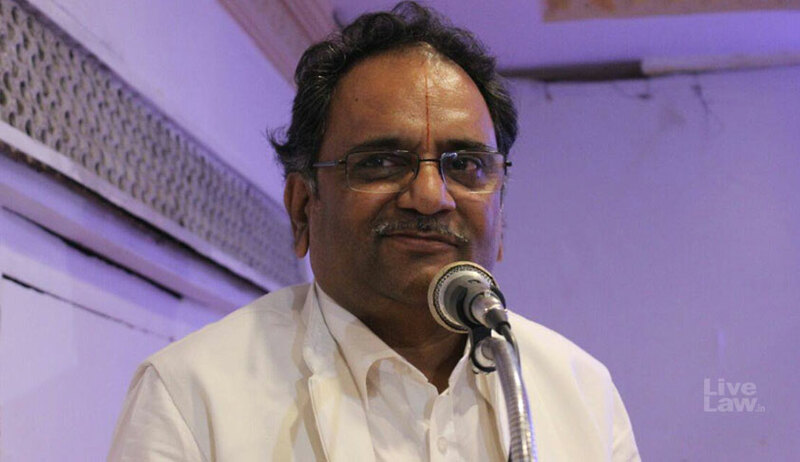 The Commission hopes that Honourable MP Shri Rajesh Diwakar,MP will understand his duty and honour the commitment made by his party BJP to transparency, and publish the MPLADS works details on his page (official website page), regularly update the same, explain the figures given above, in discharge of his obligation towards the people of Hathras constituency. From the basis of records, the CIC found that about Rs.12,000 crores in the MPLADS fund remained unspent. CIC has directed the ministry to publish MP-wise, constituency-wise and work-wise details, with names of beneficiaries, and reasons for delay for all Members of Parliament. "...the information sought by the appellant is related to MPLADS work for which respondent MoSPI from centre has released funds, and such information is supposed to be disclosed by the authorities on their own as per Section 4(1)(b) of RTI Act. Non-compliance of Section 4 obligations will amount to a serious dereliction of RTI Act. Under Section 19(8) the Commission require to make certain changes in transparency disclosures and furnishing certain categories of information for RTI requests. To that extent the concerned district authorities, are accountable to the MoSPI, the funds-releasing agency on submission of utilization certificates, and thus, is under an obligation to submit details explaining how such fund was properly spent. As the appellant sought such information from public authority MoSPI under RTI, they have a duty to assist it by furnishing those details to share with appellant. According to S. 19(8)(a)(iii), the Commission requires the District Administration to furnish such information work-wise, MP-wise, year wise progress of works regularly to the MoSP, concerned MP, his Parliamentary Party, and also office of the Parliament", it was ordered. The CIC stated that it is difficult to prevent corruption in such a non-transparent massive funding scheme, without legal basis, totally dependent upon individual discretion with unquestionable privileges coupled with immunity of MPs. "It is sad that law makers of the nation did not make law for their own MPLADS", lamented the CIC in the order. Parliamentary Board of Political Parties A 'Public Authority'? The CIC also made a prima facie finding that parliamentary board of political parties are a 'public authority' as per Section 2(h) of the Right to Information Act. Parliamentary Party is a body constituted by Constitution; each MP comes into existence as per procedure prescribed by law made by Parliament, Representation of People Act. Each MP and their Parliamentary Party is totally controlled by the executive government, besides being substantially financed. None can doubt the fact that they are totally financed by the Union of India. Hence, the Commission recommended all the Parliamentary Parties or any of their representatives to submit, if they desire, their written contentions, if they believe that their Parliamentary Board/Party is not public authority under RTI Act, to justify the same before 9th October, 2018.